Oh em geez! A first gameplay trailer! We've got a long way to go, but... we're bad with secrets, and we love to share. 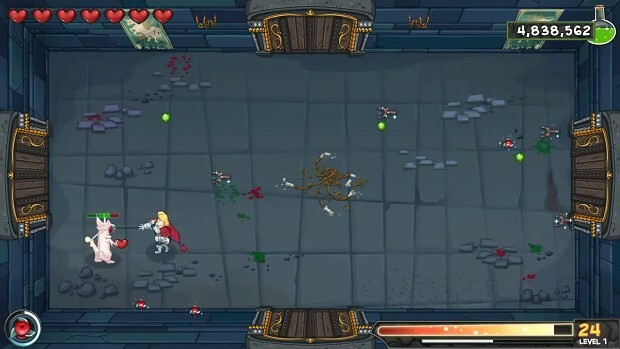 The Weaponographist is a frantic top-down roguelike dungeon-crawl coming to PC in Summer 2015. Developed by Puuba, and published by Mastertronic.